Unlike the other major sports, it's settled science as to what the most coveted rookie card is from the hardcourt. 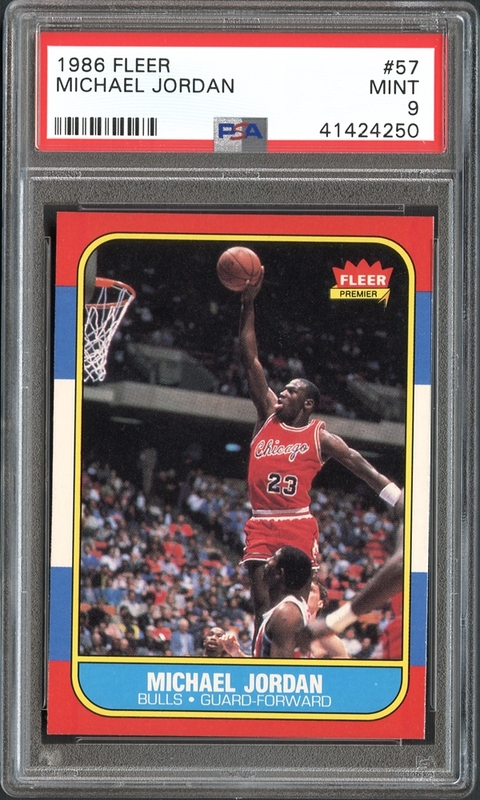 A top-notch example of the 1986 Fleer Michael Jordan card is an absolute necessity for any basketball collection to be considered world-class. Offered is an exceptionally high-end example with corners and edges that stretch the limits of GEM MINT quality and surfaces that project at the highest standards without any impediments. 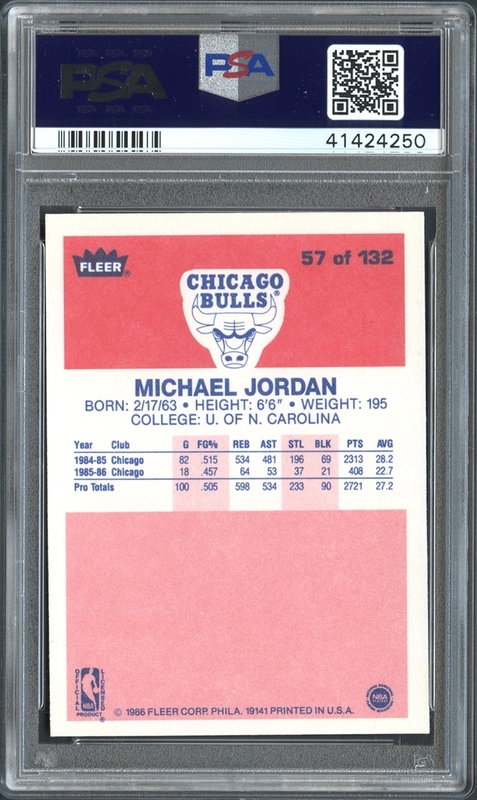 Only the centering, just a touch to the right, takes it out of consideration for PSA's highest-grade. One of the finer examples at this grading tier, and with prices marching higher from year to year, it seems like a good time to add one to your collection.